How can I control myself? Why do I do things I don't want to do? Self-discipline or self-control is one of the nine fruits of the Spirit listed by the Apostle Paul in Galatians 5:22-23. What is self-discipline? When we practice control or restrain ourselves from all kinds of feelings, impulses, and desires, which includes the desire for physical and material comfort, then we're practicing self-control. Think about this: How often have you longed for a fresh-baked chocolate chip cookie, only to have your mom place a fresh crunchy apple in your hand instead? Do you take the apple or do you try to find a way to sneak the cookies? Why is self-discipline so important? Self-control is actually listed last as Paul rattled off the fruits of the Spirit in his letter to the Galatians, but that certainly doesn't make it the least important. If you do a search, you'll find that the term is not often used in the Bible either, yet self-control is so important in helping us to make good choices that God would want us to make. Our sinful flesh has a really hard time resisting the persistent tug of our sinful desires. But! By practicing self-control, we can master those desires. Paul tells us to keep ourselves clean both physically and spiritually because we love God and want to take care of what He has given us (that is, our bodies) (2 Corinthians 7:1). In his letter to the Romans, he goes so far as to tell them to "offer your bodies as living sacrifices, holy and pleasing to God," and not to be conformed to the pattern of this world (Romans 12:1-2). You belong to God; take care of yourself. Believe me, I understand that self-control is hard. It's one of the hardest things I've ever had to work on. One night, I had two whole bags of potato chips because I couldn't stop myself. Self-control is really a mental game. Sometimes it feels like you have to sike yourself out in order to stop those cravings or other desires. Paul talks about his own struggle with sin in Romans 7:15-20: "What I want to do I do not do...the evil I do not want to do—this I keep on doing...it is sin living in me that does it." We've all had to resist temptations at some point in our lives, and we've all given in at some point too. Just look at America. Our lack of self-discipline is obvious in the war against obesity (and heartburn). People always want more, yet they are never happy, so they max out credit cards, down energy drinks, take medication for depression, and stuff their closets with things they'll never use. This practice of buying things we don't need shows how the practice of self-restraint isn't even a part of our culture anymore. For Christians, without self-discipline, our appetites for comforts and pleasures can easily become our idols, mastering our decisions and purchases and use of our time. Lack of self-control ultimately leads us into sin or otherwise gets in the way as we try to walk with God. If your spiritual body does not govern your physical body, you could easily become a target for Satan (1 Corinthians 7:5). What "race" are you running? Paul also talks about self-discipline in his letter to the Corinthian church. The people living there would have been very familiar with the Greeks Olympic Games and the Isthmian games which took place right near the city of Corinth. They knew all about the rigors of athletic training, especially if one wanted to win the "prize" or the "crown." Because of this cultural knowledge, Paul used these sporting events as a metaphor about living a disciplined Christian life: "Every athlete exercises self-control in all things. They do it to receive a perishable wreath, but we [run for an] imperishable [prize]. So I do not run aimlessly; I do not box as one beating the air. But I discipline my body and keep it under control, lest after preaching to others I myself should be disqualified" (1 Corinthians 9:25-27). How can I control my mind and actions? Remember that self-control is a gift from the Holy Spirit—not something we can muster up ourselves. It's like the Holy Spirit is giving us a tool that we can use in our lives. That's what the fruits of the Spirit are in Galatians 5:22-23. They are gifts, not anything we can make happen on our own. It is the Holy Spirit living in our souls that gives Christians the power and ability to even begin to practice self-control so that we will not be overpowered by the "cravings of sinful man." As Paul said, "God did not give us a Spirit of timidity, but a Spirit of power, of love and of self-discipline" (2 Timothy 1:7). We should not allow ourselves to be controlled not by our old sinful nature, but rather by the Holy Spirit instead (Romans 8:9). He helps us in our weakness (v.26), which gives us the strength to stand firm in the face of temptation. 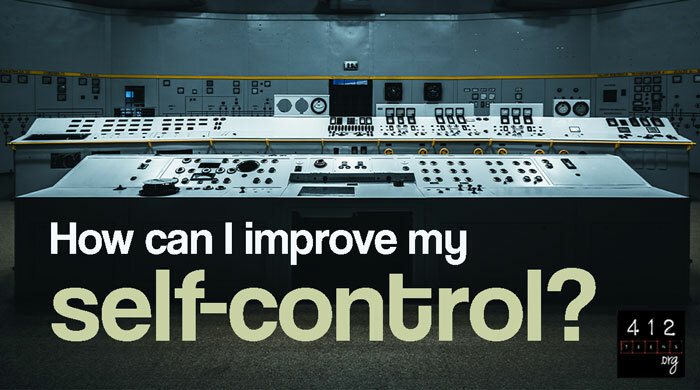 Self-control is a gift from the Holy Spirit—not something we can muster up ourselves. It's like the Holy Spirit is giving us a tool that we can use in our lives (Galatians 5:22-23). The Holy Spirit gives Christians the power and ability to even begin to practice self-control so that we will not be overpowered by the "cravings of sinful man." Don't allow yourself to be controlled by your old sinful nature, but rather by the Holy Spirit (Romans 8:9, 26). 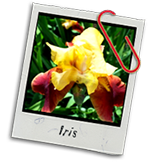 Golden Iris likes to read, play phone games, and watch NCIS with her parents. Being a happy college graduate, she anticipates the day when she can pursue further education.